Coláiste Phobal students Sarah O’Toole, Ruby Mitchell, Alannah Dunford, Eve DuBerry, Samantha Maloney, Nadine Nolan-Simplicio and Nadia Fletcher took part in a highly competitive Tipperary ETB Public Speaking Competition hosted by Borrisokane Community College last Thursday. The girls were in competition against seven schools from all over Tipperary in both Public Speaking and Óráidíocht as Gaeilge. The girls dedicated themselves to composing, crafting and rehearsing their speeches in the weeks leading up to the competition itself. The tremendous effort allowed them to shine on the day with absorbing content and perfectly pitched and impassioned talks on their chosen topics ranging from School to Friendship, Social Media to Technology. The students’ confidence and command of language belied their years and proved to be enormously well received by the assembled audience members and indeed the judges. Sarah O’Toole, competing in the First Year category won second place for her excellent speech in Irish, while Nadia Fletcher (5th Year) was also awarded second in the senior English category with a wonderfully affecting performance. Eve DuBerry, another 5th Year Student, went one better in the senior Irish category. She impressed the judges with her fantastic speech and came away with a richly deserved first place. The students are set to deliver their speeches to fellow students in the coming weeks to encourage public speaking and debating skills within the wider school community. Congratulations to all those involved. We had a wonderful evening on Friday, 22nd March 2019 in The Thatched Cottage, Ballycommon where we got a chance to thank our teaching colleagues Mary McGrath and Deirdre Kinnane. Mary retired in June 2018 after many years teaching in Roscrea Vocational School and then Coláiste Phobal. Deirdre Kinnane was in Coláiste since the amalgamation and last summer moved to a school in Limerick closer to home. We wished both many years of health and happiness and reminisced long into the night. A big thank you to all staff, past and present, for your support and generosity. Thank you to our organising Committee for all their efforts to ensure a great night was had by all. There was a very good turnout of parents and students for the 3rd and 6th year parent teacher meeting held on Thursday 21st March. 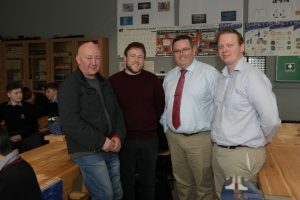 On Friday 22nd March there was a talk for 1st and 2nd year Technology students by past student Joe Thompson on Technology and his involvement in a European Space Agency Project in the new technology room. Joe achieved maximum points in his Leaving Cert while a student in Coláiste Phobal and gained an entrance scholarship to UCD. He also won a National award for his Engineering Project in 2009. 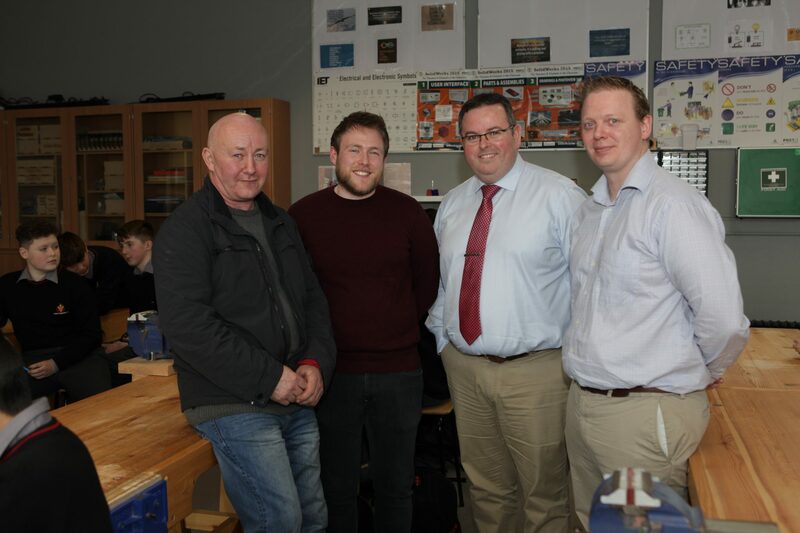 We were delighted that Joe officially opened the new technology room in Coláiste Phobal. 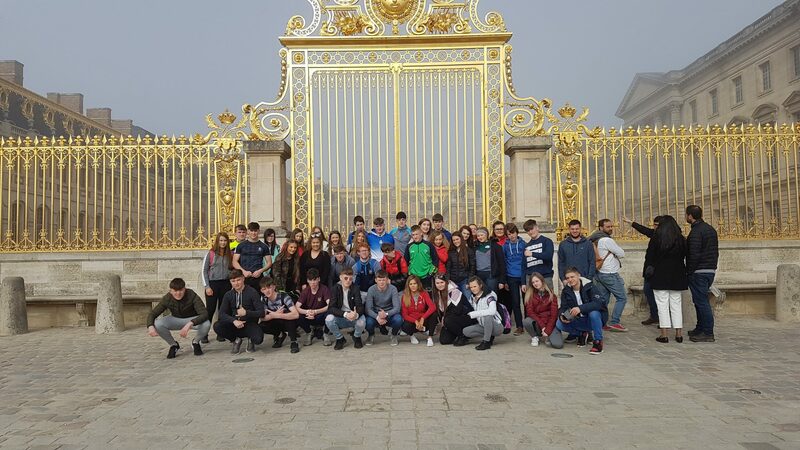 TY students were on a trip to Paris this past week from Wednesday to Friday, March 20th – 22nd accompanied by a number of Teachers and thoroughly enjoyed the experience. The venue for the match was Dr. Morris Park in Thurles on a windy morning. The pitch was in poor condition but didn’t prevent the two sides battling it out for a place in the Munster Final. Cahir started the game fast getting the first three scores of the match with no reply from Roscrea until about ten minutes in with a free from captain Kenny Lee. Roscrea, playing with the wind in the first half, grew into the game with more scores from Dylan Hogan and Kenny Lee. There was a mighty battle in midfield between two county minors, Conor Shanahan and Francie Delaney, who fought for every ball. Roscrea full-back Nathan Carroll was rock solid and made two important blocks when Cahir were seeking a goal. Roscrea found it hard to get out of their own half and Cahir managed a well-deserved goal late in the first half from their full-forward, which put them 1 point up heading into half time. After conceding the late goal, Roscrea came out surprisingly strong and started the second half with a point from center-back Dominik Mroczek. Cahir forward Jack Buckley kicked 2 points in quick succession and kept the Cahir spirits high as they progressed through this tense half of football. With more scores from the Cahir forwards, the game seemed wrapped up as they led by 4 points with five minutes to go. Roscrea applied pressure to Cahir winning their kick-out through wing forward Adam Nash who won a free which was converted by Kenny Lee. 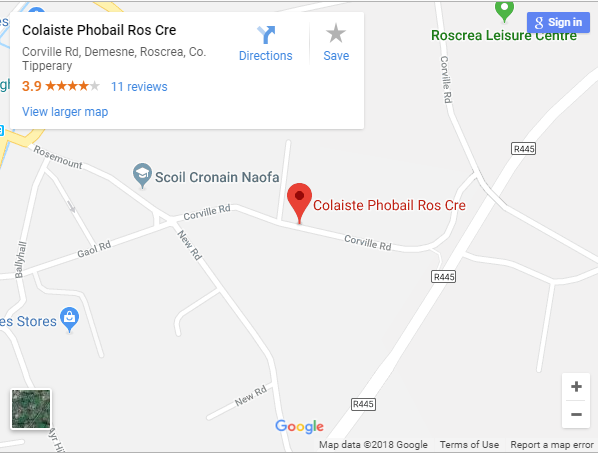 This left 3 points between the teams with Roscrea throwing everything at Cahir. Roscrea got the crucial goal they were seeking through Dylan Hogan after Kenny Lee won a free and played it quick. This meant extra time for the teams after an unbelievable effort from both sides. Extra time began slow for both teams and fatigue was starting to kick in. Cahir started the scoring through midfielder Francie Delaney who fisted it over the bar from a very tight angle. Roscrea got a point back with a superb kick from Conor Shanahan, which left the sides level again with the second half to come. The teams returned after a short break with tensions high. Roscrea were the slower team to get going, as Cahir number 3 Christy Macdonagh scored two points within the first five minutes. Roscrea struggled to get out of their own half and Cahir kept applying pressure and kicked two more scores. Another amazing comeback was unlikely as Cahir went 6 points clear to which Roscrea had no answer. Cahir came out on top after this unbelievable contest and now go through to a Munster Final.